Elite Queen of Hearts Costume By: Fun Costumes for the 2015 Costume season. 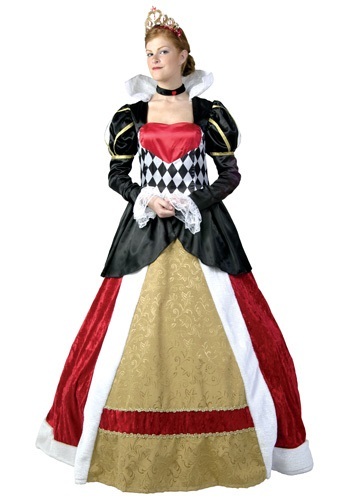 Demand attention in your court in this women's Elite Queen of Hearts Costume! It's an elegant dress made of rich fabrics. For anyone who disapproves of this costume at your next dress-up event, it'll be off with their head!